I decided to draw up a list of pro’s and con’s about online videos as this is one of the topics that interests me. Lets get to it…. Such exposure is great as it gets more people interested in dancing. That can only be a good thing for the entire scene. Say what you like about YouTube videos, but I would never have heard of 90% of the artists that I know today if it were not for YouTube. A prime example; I have never met or seen Oliver Pineda and yet he has had such a major impact on my dancing. I own all his DVDs and have watched 100’s of his videos (be it shows, workshops, socials or even interviews). Watching him social dance opened up my eyes to so many possibilities especially around musicality. This was only possible because of YouTube. In small and remote scenes, its hard to inspire people to take their dancing to the next level. All they are exposed to is their local scene made up of 32 people; 5 advanced dancers who are too jaded they rarely even make an effort when dancing, 21 intermediate dancers who are happy with the standard level that exists in their scene and then there are the 6 beginners who are still trying to figure out where the 1 is. These scenes have very little in the form of inspiration and watching a NY social like Candela or a Paris social like SalSounds can inspire people from these small scenes to keep growing and take their dancing to the next level. When I go to a Salsa festival, the first thing I do is look at the workshop programme to see who is teaching. The moment I see a name I don’t recognise, I go onto YouTube and find some of their videos. I watch their workshops and social dancing and if I like what I see, I will go for their workshop. If I don’t like what I see, I would rather get an extra hour sleep. There are people who attend festivals and basically record great social dances. 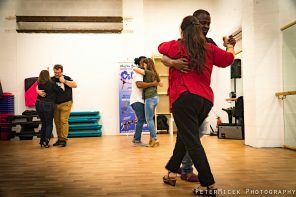 If you are like me, the freedom and improvisation of social dancing is what you love about Salsa, to the point that I would take a great social dance over a great performance any day. Thanks to YouTube, I have gotten the opportunity to virtually experience dance scenes all over the World, especially in Countries I may never have the opportunity to see. Most Artists come up with 1 show a year and a couple of workshop routines. They will then perform that show at every event throughout the year and teach those workshops at those same events. If their workshops and shows are put up on YouTube after the very first time they perform or teach it, that means that when they go to another country or event, people will have already seen the show online and watched and even taught themselves the workshop. This devalues events that are not debuting the routine. There are plenty of people who do not go to classes or workshops any more because all they do is watch YouTube videos. Is it possible to learn a move or combination from YouTube? Yes it is. However, most people don’t have the foundation and skill required to figure out the timing and technique required to execute the move correctly. This point is critical! Learning from YouTube usually results in lousy and dangerous leads or follows on the dance-floor. So YouTube should definitely never be your primary learning mechanism. Teaching is usually the main form of an Instructors income. People pay to attend their classes in the local scene or for a pass to attend their workshops at festivals. If people stop attending classes because they are waiting on YouTube videos to be released by the people who actually attended and paid for the class, eventually that instructor will stop teaching and then there will be no one to learn from. But what if you can’t afford the classes or the full pass? Then approach the instructor or the event organisers directly and have a chat. Organisers have volunteers who in exchange for doing some work at the event will allow you to attend the workshops & parties. Instructors in their individual capacity may be able to utilise you in their school or in some other way so that you both benefit. If you want to learn from them, there are other options apart from YouTube available to you. So Pro’s and Con’s listed, time to answer the Question – To YouTube or not? Well we live in the technology-age where a video can be edited & uploaded within a matter of minutes after its been shot. How practical is it that people can expect that videos of them wont find their way on-line? To the people filming, I would say – respect the person that you are recording. If they would prefer for you to not post their video online, then you should respect that request. However to the the person being filmed, you should know videos will find their way on-line whether you like it or not. YouTube is not going anywhere so maybe its time to adapt. Instead of fighting it, let it work for you. At the end of the video, plug your own dance school, website, social media or YouTube channel. Even organisers can ensure videos are filmed in-front of their own branding so people can see where these awesome videos are actually taking place. As for all the YouTube watchers, with easy access should come some common sense. Watch the videos, be inspired by them and even learn from them! But do not try and replicate moves that are above your skill, technique and dance level. NEVER plagiarise workshops or shows as your own. While imitation is the greatest form of flattery, cheap knock off’s can never compare with the original. Now tell me your thoughts – To YouTube or Not to YouTube? What Say you. I do see the point in all the pros and cons you listed. The con that’s new for me is that artists may have a show or class routine and so don’t want them shared before they’re performed or taught. I didn’t realize that’s the case. I know i’ve seen the same routines in different places anyway already, but I’ve not heard that reason before. I also understand the part about income and not sharing classes at, say, congresses and have seen some instructors ask students not to do so. However, i’ve also seen other teachers like nearly beg students to share videos on youtube facebook etc!! I see and agree with the cons, but I think on the whole it is overwhelmingly advantageous to have students share the classes and everything they can on youtube. The reason I have some “favorite” dance groups and teachers is because i’ve seen them on dvds, youtube etc. I’ve gone to events because i’ve heard various teachers were there etc. So it comes as a complete shock to me when I get to such events and these teachers tell me not to share their videos on youtube. I think most if not all the “stars” are known because of youtube clips!! For them to say they don’t want them on there, to me, shows a level of ignorance and arrogance that I find quite surprising, I have to say! Are they doing so well that they can afford to not have the promotion from these sources??? If they’re, then good luck to them!! Personally, I look at youtube clips all the time, but I’ve never really bothered to try and practice or copy them, and it seems like pretty much everything is on there ALREADY anyway!! There is very little, if anything, that’s new in terms of moves or shines etc. There’s videos showing literally anything, that if people really wanted to teach themselves through these sources they could do it!! But they don’t!!! There is so so much material online, to like teach oneself, there’s so no reason to stop people!! We can all do it if we really resolve to do it!! Even when we try to teach ourselves, we still go out to events!!! So, to me it’s absolutely mind-blowing why some teachers don’t want them!!! Its the reason nearly all of them have the careers they do!! If I were a teacher I would be asking students to share them, and doing all the self-promotion I can!! I think the teachers who keep themselves cut off and “hide” their “material” I think are the ones who are being or will be left behind!!! Students, especially new learners, will likely forget them, their socials will be poorly attended, and their crowds might grow ever “older” with little infusion of new blood!!! There’s already many places like this where the crowds are usually so obviously older, it’s like “ok!! What happened to all the younger people!!!? Are they not allowed here!!?? ?” the places people often go are the ones that promote themselves and SHARE!!! Goodwill is surprisingly an effective marketing strategy!! But many people still can’t grasp it!!! Its too late to stop people, like literally ALL the moves are already online anyway!! In fact, by stopping students and being “stingy” with their material, teachers may unwittingly be pushing students to go use these resources more!!!!! I think its a waste of time, is counterproductive and while possibly having good intentions is mistaken!!! Personally, after years of dancing and taking classes, if I got really pissed off, i have no doubt whatsoever I could absolutely teach myself, combine it with events and I am pretty sure I would be alright! I wouldn’t be the “best” perhaps, but I would be good enough to have some fun! But, I don’t go that route! It’s salsa, but it’s not rocket science, we would do well to not forget that!!! They say “bad publicity is better than no publicity!” That about sums it up!!! It’s much better to have some people “steal” ones material, if they are (cause most or ALL of it is already online anyway) or see classes for free online etc!!! The publicity is worth so so much more!!!!!!! Salsa teachers and companies that stop students sharing or posting their stuff online may be making a huge mistake!! They need to stop it before it’s too late!! The stars or big companies of today may not be the stars or big companies of tomorrow, especially with all the changes in communication, facebook, twitter etc!! Limiting their publicity may be one way to grow irrelevant!!! People who ask not to be videoed need to get with technology. The pros of being on YouTube far outweigh the cons from being recorded. I don’t buy that a recording of a workshop is going to result in fewer people wanting to learn from you. 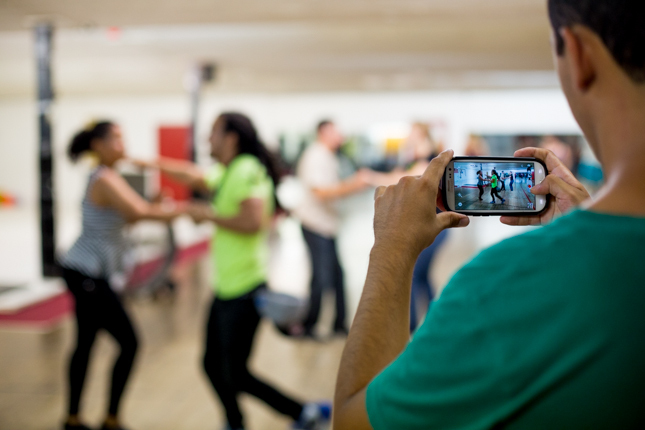 Unless someone is recording a whole, hour-long workshop and selling the video online, videos can provide exposure and an opportunity to influence people you might not have otherwise. I don’t know anyone who would turn down a live workshop with Terry & Cecile just because they’ve seen a video online. I don’t buy the performance argument either. The video of Ricardo & Karen from Worlds went viral last year, and they are being booked to do more shows than ever. The videos helped to grow their brand, and now more people want to invite them to their events to perform & teach live. Recording performances does not devalue events. If anything, it’s the opposite: Events that have security going around telling people not to record video results in a poorer experience for attendees. Hey Takeshi, I totally agree with you, Youtube has done way more good than damage for any artists, I am surprised they don’t fully realise it. However I did my research and know people who don’t attend workshops anymore primarily because they believe the people in the class are not at the right level, so they just get the workshop video from someone who attended the event and then practice it with their dance partner. As for performances, I know many people who wont bother attending shows at a festival to only watch 1 or 2 really great shows like Ricardo and Karen. They would rather watch the show on you-tube as opposed to being subjected to 2/3 or sometimes even 4hrs of shows at some events especially when the Calibre of most of the shows is not that great. If the videos were not going to be released on youtube for a couple of months, I think shows at socials and festivals would have higher attendance. However, I personally am glad for shows being put on youtube because I get to see shows from all over the World and I don’t think shows should be more than 45 minutes on any night. 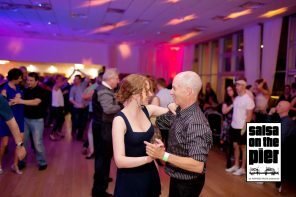 Yes there are people that learn combinations and other salsa moves from Youtube and they don’t spend any money on classes / workshops and thats okay because there is abundance and lots of people willing to spend lots of money by taking classes in many different ways like group classes, private classes, workshops, congresses, etc. For me, going to a workshop is about the experience and the energy you get from the instructor and all the other dancers. It’s something you can’t get from just watching a video.